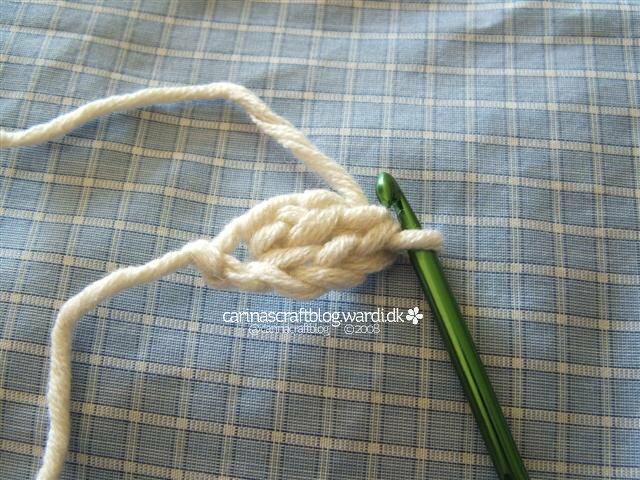 Anyway, here's the tutorial. 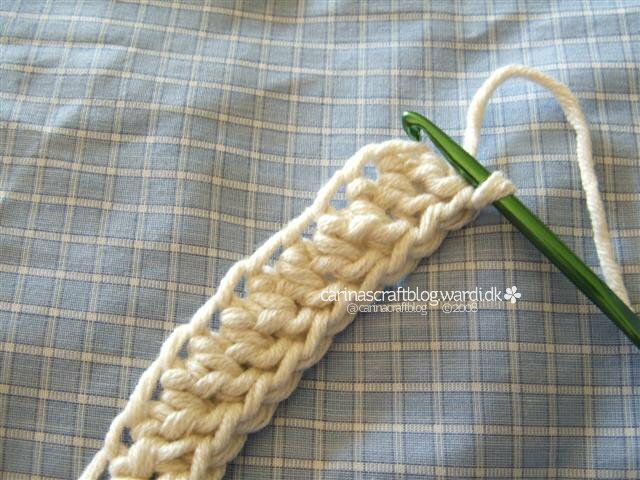 I've made it with double crochet (US term), but it can easily be adapted to any stitch size. If you have any problems or questions, don't be shy, I'd be happy to help. 1. 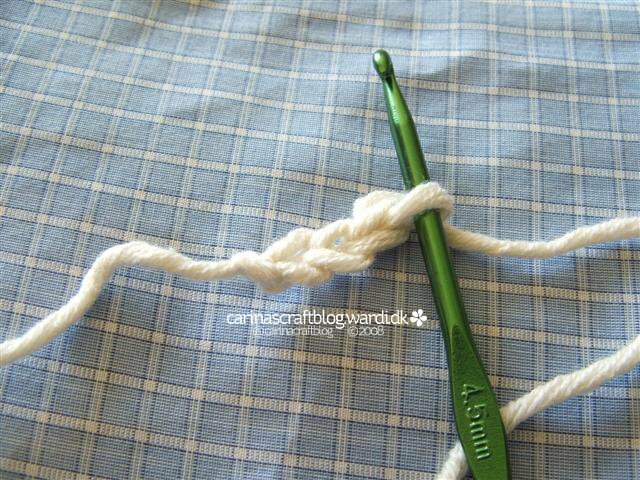 Make 3 chain stitches. 2. 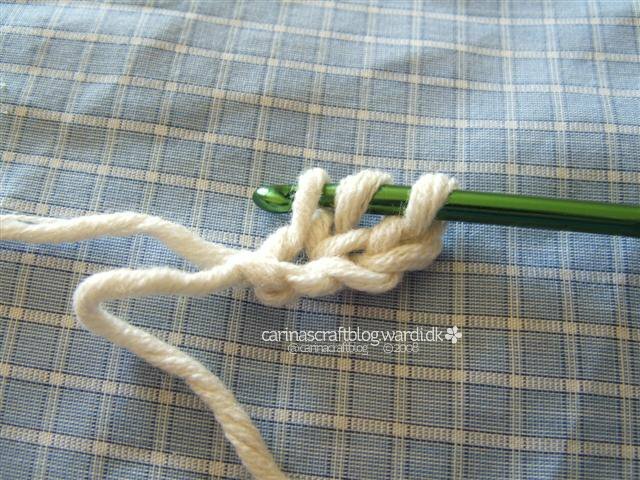 Yarn over and pull a loop through the first chain (just like if you were making a double crochet stitch). 3. 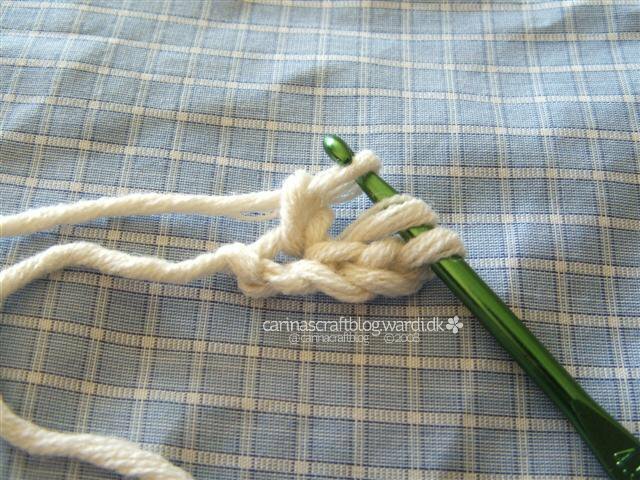 But in stead of finishing the double crochet stitch, pull another yarn through the loop closest to the tip of the hook, to make another chain stitch. 4. 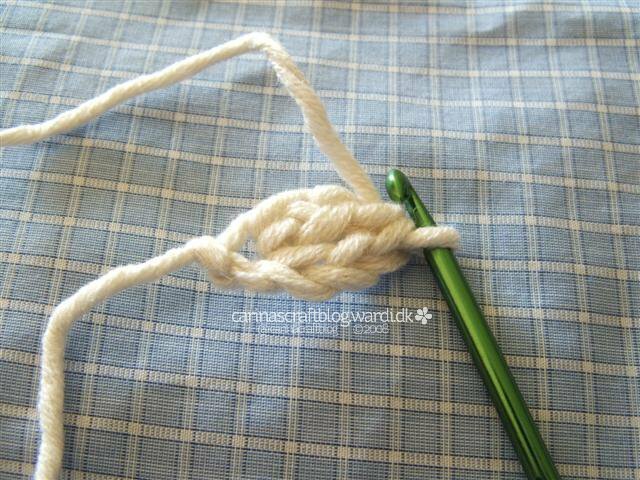 Then finish the double crochet stitch like normal. 5. 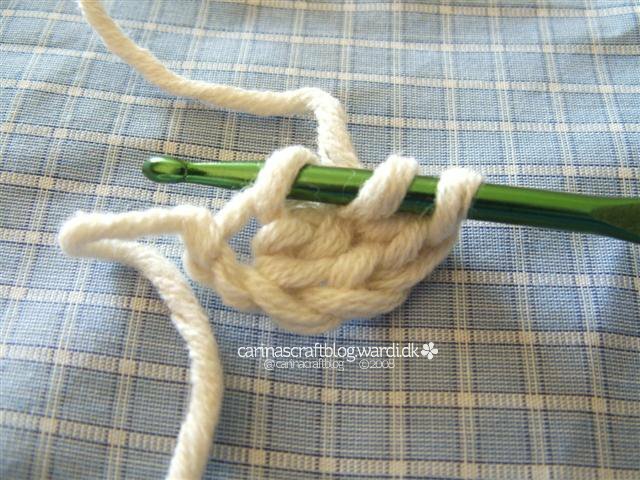 You now have double crochet stitch with an extra chain at the bottom. 6. 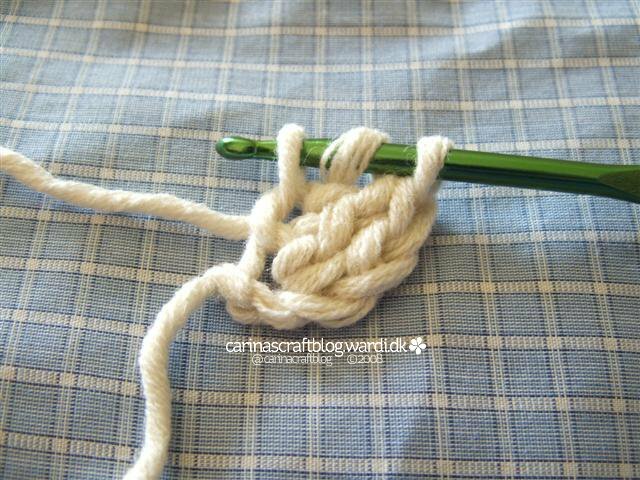 Yarn over, pull loop through the extra chain, pull yarn through this loop and then finish the double crochet stitch. Repeat this until your row is long enough. Now we are starting to see a pattern, right? Here's what a (small) no foundation chain row looks like. 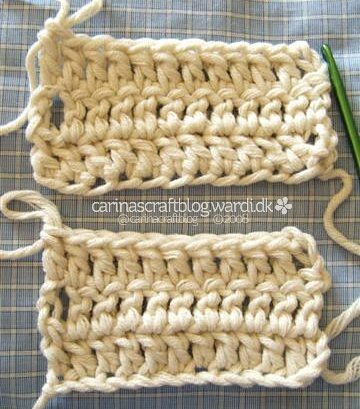 And here are example swatches of no foundation chain and foundation chain. Can you tell which is which? ;-) It's not easily shown in a picture how the no foundation chain make the tension in the beginning row less (err) tense. But believe me, it is so. 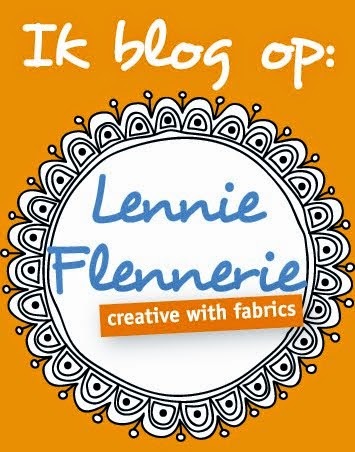 Heey die is handig!! Dat ga ik eens uitproberen heb altijd een hekel aan de eerste toer. Super intéressant, je ne connaissais pas, merci !